Editor's note: This blog post has been edited to say that the 30-day free trial of Einstein Analytics has resumed. The day has finally come. Months of planning and saving have paid off as you’re just hours away from your dream vacation. You can’t miss this flight, so you open up Waze to get guidance on the exact time to leave your house. How does Waze do that? Waze sifts through tons of historical traffic data, computes average trip times based on your parameters, and then prescribes a departure time. Backward-looking analytics and forward-looking artificial intelligence (AI) combine to give you an intelligent experience. Not a traveler? Maybe you listen to recommended playlists on Spotify? Or watch the latest movies that pop up on your Netflix feed? Buy suggested Amazon products? You get the picture. Intelligent experiences have become commonplace in our daily lives, sometimes without you even knowing it. So why wouldn’t you want the same intelligent experience in your CRM? Wouldn’t you want every employee at your company to understand the what, why, and implications for the future, then empower them with actionable data to determine a solution? We believe in making your free trial experience a great one. That’s why we’ve set up your trial with sample dashboards, apps and datasets so that you can start exploring right away. Sign up, log in, and start drilling down into sample dashboards that are embedded in the trial homepage. Use these dashboards to visualize data in whole new ways! Einstein Analytics comes with app templates so you can get started quickly. No need to spend months aligning on key performance indicators (KPIs), piecing together data, and starting up IT projects. Templates are designed with business users in mind. There are over 20 templates for various industries, roles, and productivity use cases. 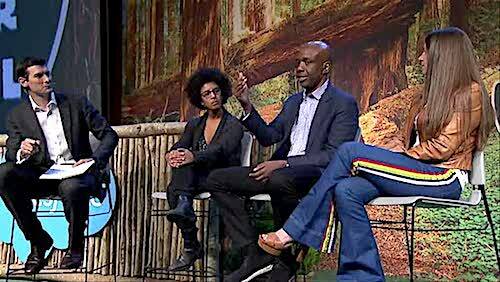 Intelligent experiences require actionability. 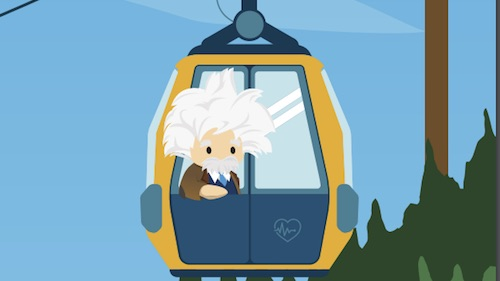 Because Einstein Analytics is built on Salesforce you can set tasks, collaborate with colleagues, and take other actions right from your dashboards. Are you overwhelmed by how much data you have in your reports? Not to worry. With Einstein Data Insights, you can bring Einstein AI into your reports. Einstein is like your own team of data scientists, working side-by-side with you to deliver insights that are relevant to your business KPIs. Actionable intelligence often requires the merging of data from disparate systems. Common examples include combining enterprise resource planning (ERP) or survey data with CRM data to boost sales and service productivity. 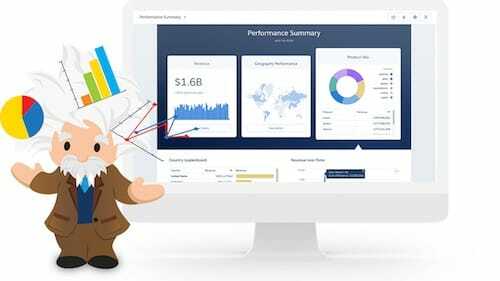 Einstein Analytics comes with out of the box connectors to numerous data sources (AWS, Google BigQuery, SAP, CSV files to name just a few) to make connecting non-Salesforce data easy. Traditional analytics are great for understanding what happened in the past and why — AI augmented analytics helps us look into the future. Einstein Discovery (included with Einstein Analytics) creates predictions on KPIs and then prescribes recommended actions for how to optimize outcomes. The Einstein Analytics trial experience will give you a chance to explore all of these great features and more, free for 30 days. We’ve also got lots of helpful learning tools to get your team set up on Einstein Analytics, from Trailhead to in-app videos. Try the free trial now!